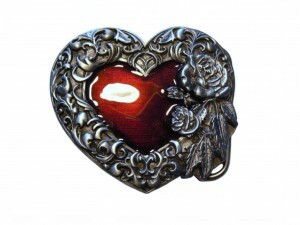 This is a beautiful and elegant solid pewter belt buckle. The heart shaped frame is decorated with deeply embossed flourishes and roses. The centre is hand finished in a rich red enamel.